| Giving away $5,000 to a worthy cause in Hampton Roads every quarter! In December 2012, we established One Hour Cares as a way to better recognize the little guys and girls in Hampton Roads. 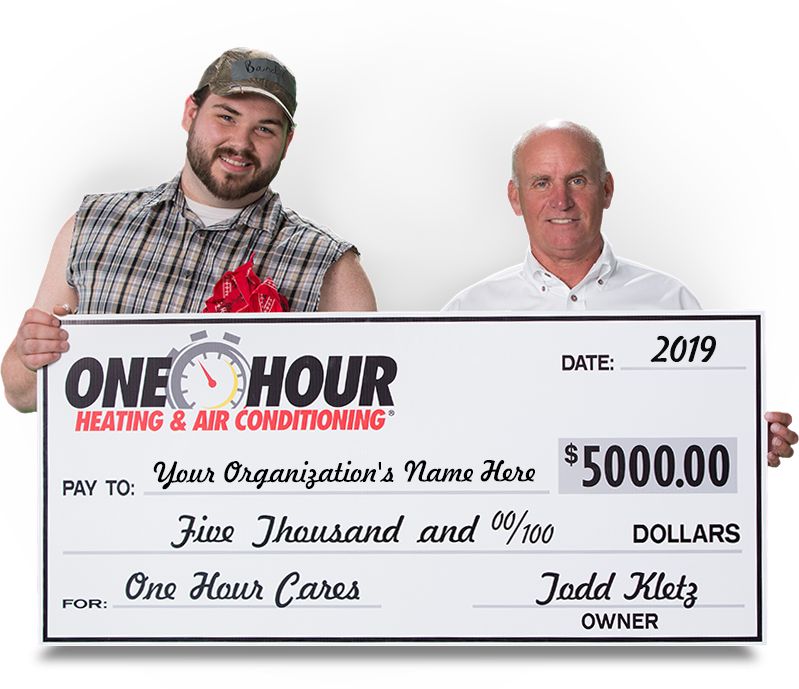 Every quarter, deserving local organizations are nominated through OneHourCares.com, then three finalists are chosen by the One Hour team. Votes are tallied through ‘likes’ on Facebook and all finalists are encouraged to promote themselves in this contest. Winners are selected through a lotto-like drawing, allowing each group a chance to win rather than selecting the one with the most votes. Join us on Saturday June 8th for the third annual Hot 100 KindFest Powered by One Hour Cares at Hunt Club Farm from noon to 4pm.